A heart attack can be a terrifying and extremely dangerous situation for your aging parent. This condition impacts more than 730,000 people throughout the United States each year. For many of those who die from a heart attack, not recognizing the warning signs is often largely to blame. Prompt medical attention is essential when it comes to managing, treating, and overcoming a heart attack, so being able to recognize the early warning signs is essential to getting your parent the attention that they need as soon as possible. In one study, approximately 92 percent of those questioned reported knowing that chest pain is an early warning sign of a heart attack. This, however, can be somewhat misleading. While some people do experience a strong, sharp, or crushing pain in their chest at the beginning of a heart attack, many others do not experience pain. Instead, they report a swelling, fullness, or other discomfort in the chest that might even feel like indigestion. You might have heard of pain in the left arm as an indication of a heart attack. This is not the only pain and discomfort that your parent might feel throughout their upper body. It is not uncommon for seniors to feel tightness, tingling, pain, or heaviness in the jaw, back, neck, or even the stomach. 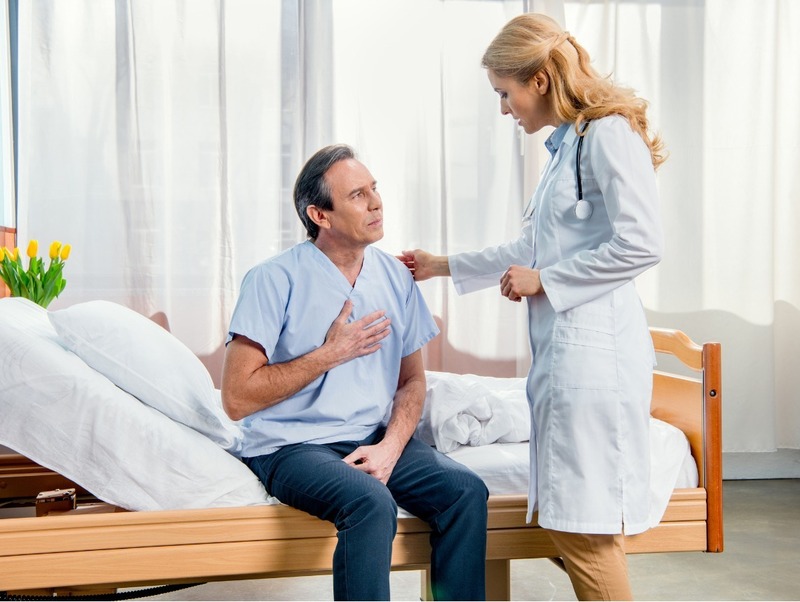 The chest pain or discomfort of a heart attack can make it difficult for your parent to breathe, but shortness of breath can occur even in the absence of this pain or discomfort. This means that if your parent is suddenly having difficulty breathing, it is important to get them the medical attention that they need as quickly as possible. One of the lesser-known symptoms of a heart attack is nausea and vomiting. This is particularly true of women, who are more likely to experience the non-chest pain symptoms of a heart attack than men are. Any time that your elderly parent is feeling nauseated or experiences vomiting, it is important to get them prompt medical attention to identify the cause and ensure that it is not anything serious. If you are concerned that your parent is at increased risk of suffering a heart attack, now may be the ideal time to consider hiring home care for them. An in-home senior care services provider can create a personalized approach to care specifically tailored to your loved one’s individual needs, risk factors, and likes and dislikes. This customized course of care means that your parent can stay healthier and enjoy a more active, fulfilling lifestyle that can protect them from suffering the potentially serious consequences of a heart attack. If your parent has already suffered a heart attack, a home care provider can provide them with the care, support, and encouragement that they need to recover, get stronger, and live a lifestyle that will guard them against another heart attack.